Vidyalaya enlarges its vision by taking care of the health of the children and the public. Blood donation camp is a regular feature of the vidyalaya. 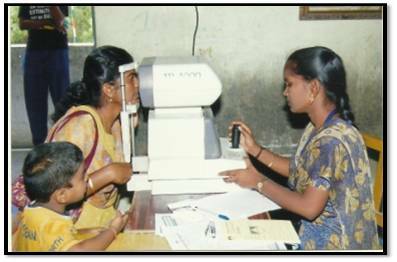 Students were screened by KK Eye Care, Selaiyur. Physical Education teachers periodically inspect the students’ hygiene. Yoga, Exercises is given in every PT period. Parents are informed if the children have any deficiency.